Savera Nadeem emerges as the leading lady in Meraas! 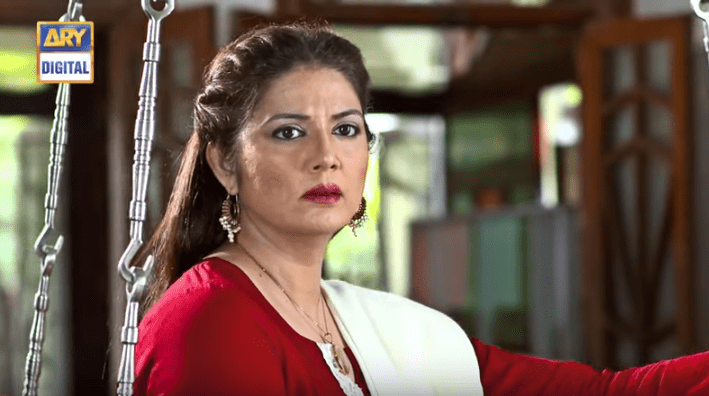 Savera Nadeem – The leading lady in Meraas! 3 episodes into Meraas and we see Jiya (Saboor Ali) as an innocent girl, Haris (Mohsin Abbas) as a man who dreams of going to London and (Jehan Aara begum)Savera nadeem as the leading lady who emerges as the queen of the house. Savera’s powerful performance has left us in awe. She is shown as the dominating one in the family , the house under which they live is under her name. Jehan Aara has all the power and money in her hand and makes everyone else’s live hell. She figures out that her step brother is getting married without her consent and thus decides to get married as well to challenge her step mother and brother and finds Haris for the cause. Haris on the other hand is married to Jiya but is not happy as he always wanted to go London and marry a foreigner fulfilling his father’s wish. Jehan aara marries Haris promising to give him money to go abroad. The story follows the homecoming of Jehan Aara into Haris’s house and re-arranging everything according to her choice which in return disturbs Jiya and Haris’s mother. What else is Jehan Aara planning to do and how will Jiya handle the situation of her husband getting married to Jehan aara. To find out this and more watch “Meraas” every Thursday at 9:00 PM on ARY Digital.